Comparing the Roomba 860 vs 880 - Which One is Best? Best Robot Vacuum For Pet Hair 2019 – Make the Right Choice! Best Robot Vacuum Under $200 – What Are Your Choices? 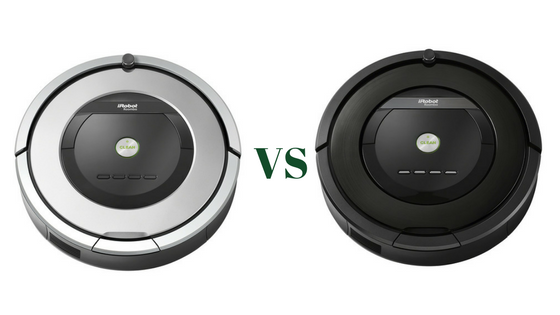 Comparing the Roomba 860 vs 880 – Which One is Best? 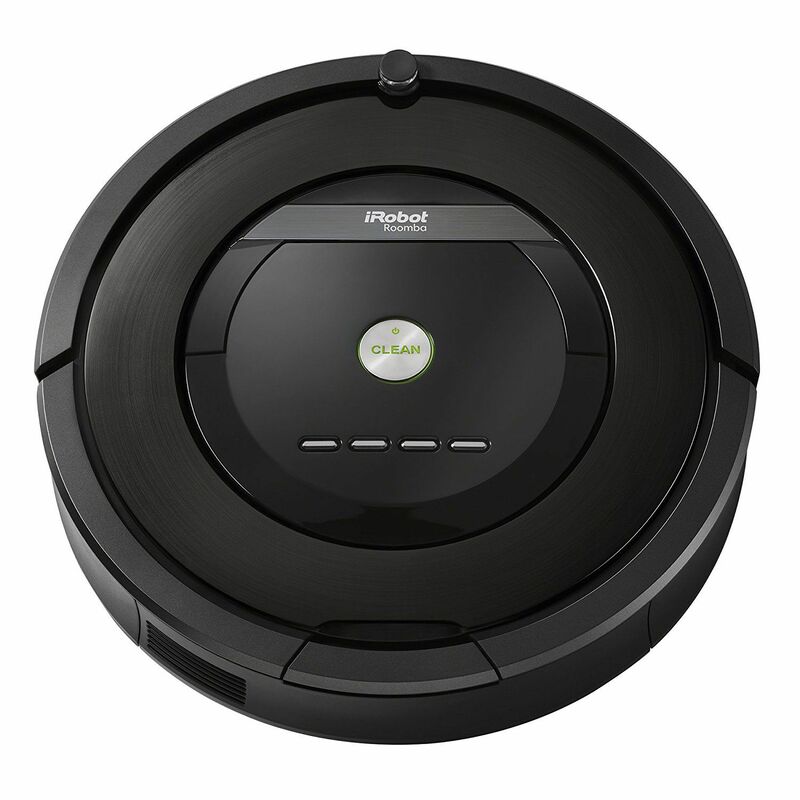 A good robotic vacuum cleaner is an investment that requires some thought and consideration. Like most household appliances intended for long-term use, you shouldn’t rush into your robotic vacuum purchase. You don’t want to buy less than you need in terms of features and power, but you want to avoid overspending. iRobot and is the leading manufacturer of robotic vacuums in terms of cutting-edge automated vacuum technology. It has quality and power, but they offer a dizzying variety of options with their current and past lineup of products. Sometimes the differences between model numbers are cosmetic, while in others the difference in features and technology is vast. For example, take a look at the difference between the Roomba 860 vs 880: While both are high-quality vacuums with some excellent features and well-designed technology. They are unique to one another in several critical ways. Let’s take a look at some comparative information to help you make an informed buying decision when shopping for the right robotic vacuum for your home. At a Glance: How Are These Two Roomba Different? Roomba 860 vs 880 Alternatives? Is The Roomba Vacuum For Me? Check out this video of the roomba 880 being tested, to see the differences between the two iRobot vacuums. Check below ​on how the scheduling feature works on the Roomba 860 Robot vacuum. As you can see, many iRobot specific features require some explanation. Their function is not necessarily apparent from their description. The good news is that all of iRobot’s patented automatic vacuuming technology is cutting edge. Offering the best quality for user experience and customer service you’d expect from the market leader in robotic vacuums. For a more detailed comparison of the Roomba 860 vs the Roomba 880, we’ve described and explained the key similar features and differences between models..
Let’s talk specifics for a bit: what's is different about these two models, and why should you choose one over the other? Is there a better choice depending on the floor plan of your home? Which model is going to provide a better multi-room solution as opposed to a single room use? The 880 introduced the predictable pattern navigation system that is currently used in the high end 980 model and the more cost-effective iRobot 860. Models that use iRobot’s iAdapt Navigation System follow a predictable pattern for learning the obstacles and dimensions of your rooms while they clean your floor in a random pattern. iAdapt also uses acoustic and optical sensors to determine what type of level is currently being cleaned to ensure it uses the right power and brush-roll depth automatically. The iRobot 860 and 880 use a rubber debris extractor that breaks down dust, dirt, hair, dander, and other particulates before pulling them into the collector bin. This significantly cuts down on jamming and tangles. This eliminates the need for owners to manually clean their Roomba’s brush roll and debris extractor to keep it in good working order. This feature more than any other provides a significant improvement over older Roomba models, as households with pets often caused Roomba’s to overload just due to the Pet Hair ​that would become caught in the mechanism. HEPA filtration, full bin indicator, auto recharge, scheduling, and spot cleaning are all standard for both the Roomba 860 and Roomba 880. The HEPA filter improves air quality in your home, while the full bin indicator helps you keep your Roomba from getting overloaded between cleanings. Auto-recharge is one of the those automated features. This will cut down on how much work you need to do to keep your Roomba moving. Without it having to charge up manually all the time. Scheduling allows you to set your Roomba to clean when you aren’t home, and spot cleaning uses the visual and acoustic sensors to determine if a specific area of your floor needs a little extra attention due to dirt or debris buildup. 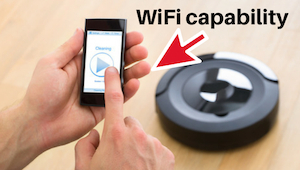 Conversely, neither model has WiFi connectivity, a built-in camera, or auto-resume when it has finished charging. Wireless programmability and control via smartphone, tablet. A computer provides significantly more automation with less for you to do to keep your Roomba roving and cleaning. Furthermore, auto-resume on a full charge is one of those key features that helps many get more out of their Roomba when they want to program it to clean while they are away from home. The lack of an onboard camera also makes it somewhat more difficult for your Roomba to remember and avoid obstacles. This while programming its standard cleaning route and learning the ins and outs of cleaning the various rooms in your home. Both the 860 and the 880 will return to their docking stations when their battery is down to 20% or less remaining power. The catch is that unlike the more expensive 900 series Roomba's, these robotic vacuums do not auto-resume cleaning after the battery has reached full capacity again. 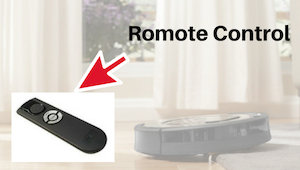 You must manually press the Home button on the iRobot 860 or on the remote for the 880. This means even if you set your 860 or 880 to clean when you leave the house when the battery runs out it will stop cleaning and not resume its work. If auto-resume is a critical feature for you, you may want to look at purchasing a costlier 900 series Roomba. iRobot vacuums often include a Carpet Boost feature that allows for deeper cleaning. Also, a greater suction when passing over carpeted floors versus hardwood floors surfaces or lower pile carpet. While this is an excellent feature for homes with deep pile carpeting, it is not a standard feature of either the 860 or the 880. To schedule the Roomba 860, it couldn't be easier as the below video explains. We have a step by step process for setting up the iRobot 860 to perform daily tasks and duties with a simple press of a button. This will allow you to program individual days of the week or even monthly schedules into the Roomba 860. It's as easy as setting many household items like alarm clocks, and TV remotes, it's that simple to set up. We can see actions in this Roomba 860 review how it navigates furniture like tables and chair legs without a problem. Also travels close to the edges of the room cleaning as it goes. We see how it negotiates thick carpet with no real issues. And finally, this review of the Roomba 860 shows how it returns to the dock once it had completed its scheduled clean. The Roomba 880 is designed to clean multiple rooms of your home independently automatically, whereas the iRobot 860 is limited to one room at a time. 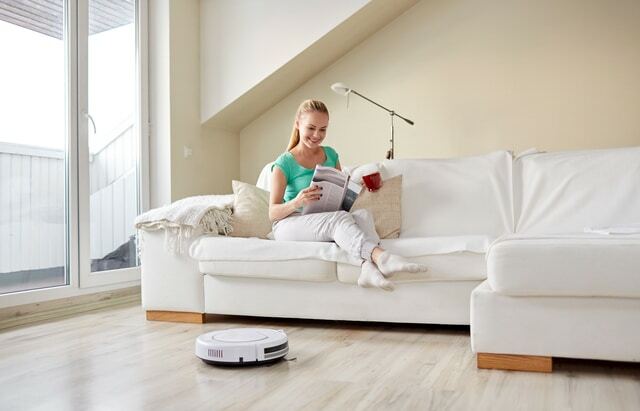 While the 880 can roam freely until the battery gets low, the iRobot 860 will return to dock once it has finished cleaning one room of your home. 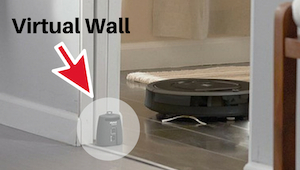 The 880 includes two virtual walls that let you block off particular rooms of your home so that your Roomba doesn’t vacuum where you don't need. It can also be used to keep your Roomba away from specific areas of a room that it shouldn’t clean, including where you keep food bowls out for your pets. A significant difference regarding convenience, the Roomba 880 includes a remote control that allows you to control your robotic vacuum via line of sight with the touch of a button. The 860 operates via onboard controls. So while a remote control may seem like a minor accessory difference, it makes starting and stopping your Roomba a lot easier, especially in multi-room cleaning situations. For superior battery life and performance, the 860 has a lithium-ion battery pack. That will charge faster and provides a longer battery life than the 880s X-Life battery pack. Since the 860 model is a newer model, it takes advantage of the more efficient and long-lasting lithium-ion 75-minute battery cell used in the newer Roomba's. The 880 model uses the older X-Life battery limited to 60 minutes of cleaning time. 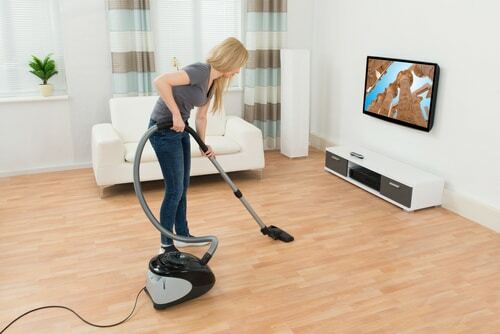 It is an essential factor to consider if you intend for your 860 to clean while you are away and cover the room you have programmed it to clean in your absence. The 880 includes two virtual walls and remote control, neither of which come with the 860. In addition to whole level cleaning, you also get more for your money with the 880 over the 860. Those virtual walls make programming your 880 to clean while you are away much easier, and the remote control means no chasing your Roomba down to get shut it off or stop its cleaning cycle. As far as expense, the 860 tends to cost roughly $100 less than the 880. The difference in cost may be more to do with the year manufactured and what level of automation it has. Whats extra accessories are included, than the actual core differences between both iRobot 860 vs 880. Your extra $100 does buy you significantly more for your money. This increased automation and whole level cleaning do add a tremendous amount of value and convenience for the higher price point. 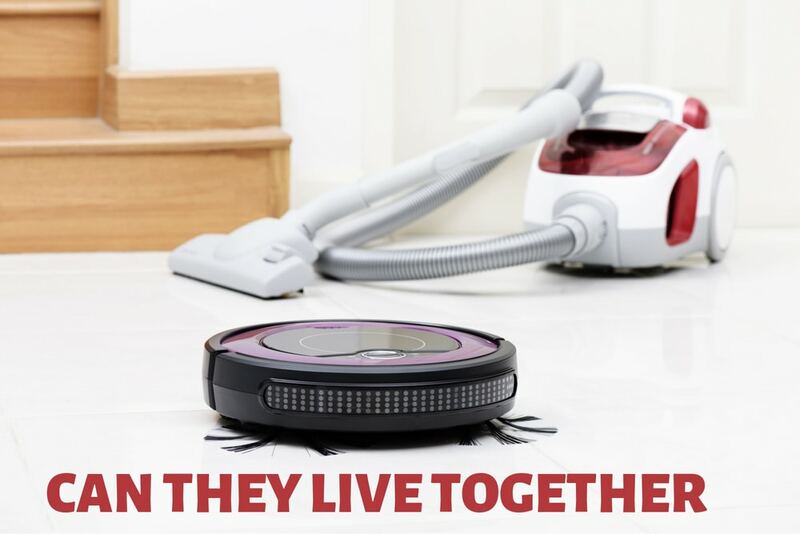 While it is a minor difference, appearance does matter to many, and for some owners, the color of their devices can make the difference between Roomba 860 vs 880 and their buying options. The 880 comes in iRobots standard Roomba black finish, while the iRobot 860 has a brighter silver grey finish that better suits specific interior designs and aesthetic tastes. For many, the black finish is not always best. Roomba Pong its a bit of Fun! The Good news is that both 860 and 880 models have HEPA style Filters which are designed to capture dust, pet hair and protect allergens. So if you are someone who sneezes every time you use the vacuum cleaner, then these filters will help reduce the amount of pollen, and nasties in the air. ​How often should you change a Roomba filter? You have a few options with these filters; you can wash them using just water, and once dry (making sure they are completely dry) and then you can use them again and again until they look like they need replacing. This will depend on how often you use the Roomba. As far as renewing the filter goes, you are looking at between 3 to 4 months before needing to buy new ones. 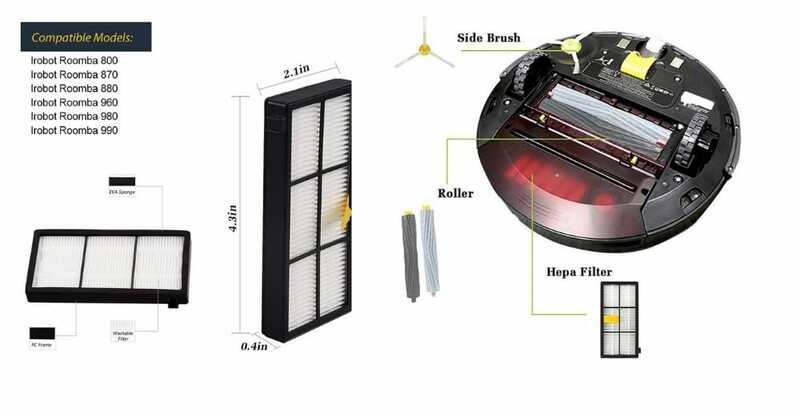 If you don't want to wash the filter, it is recommended that you do necessary maintenance checks on the Roomba vacuum which will tell you the condition of the HEPA filter. Are replacement filters easy to buy? The filters need to be compatible with Roomba 800 Series, iRobot supply the authorized ones however other brands are also available to purchase and are sold in 4 packs and are priced around $10 per pack. Based on this, one pack would potentially last up to 12 months, which is great value. These HEPA filters can be purchased online from both eBay and Amazon. Our choice Roomba 860 vs 880 which model to buy is dependent on factors specific to individual needs. If you have a smaller home or apartment with a few rooms, the Roomba 860 is more than enough for your needs. It’s got just the right combination of automation, smart onboard navigation tech, and cleaning capabilities to make it the perfect fit for your apartment or small home. It requires a little more attention to make it useful, but it is still an excellent robotic vacuum solution. If you have a multi-level home or a single large level home, you may find that you are better served by a Roomba 880. Thanks to its automated multi-room capabilities, including remote control, and virtual walls. There aren’t many differences between these two mechanical robotic vacuums, but they each demonstrate particular usefulness depending upon how you intend to use them. 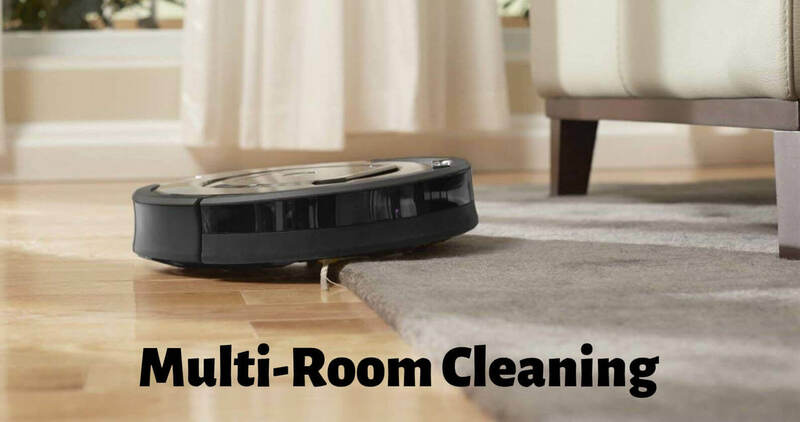 The Bottom line, our advice is to choose the iRobot 860 if you know you are only cleaning an open floor plan apartment or smaller home. And go for the Roomba 880 if you need to do significant whole floor cleaning on a regular basis. The 860 represents the best value for those with small homes, and the 880 is the superior option for medium to large sized homes. If you are looking for our reviews on all the best Roomba models for carpets. You may think that you might need more features than these two models have to offer. Let's quickly check out a few more robots vacuum to see what features these have that can help with your choices. It's worth looking at the Roomba 960 which is similar to the 880 the main differences between the two are the 880 doesn't have WiFi, and the recharging feature does not resume cleaning once fully charged. So there's little difference between the two, and it depends on what features you need the Roomba robot to do. If your happy without the WiFi, and that it doesn't resume cleaning after charging, then the 880 will work just fine. If not the Roomba 960 would be a better fit for your needs. 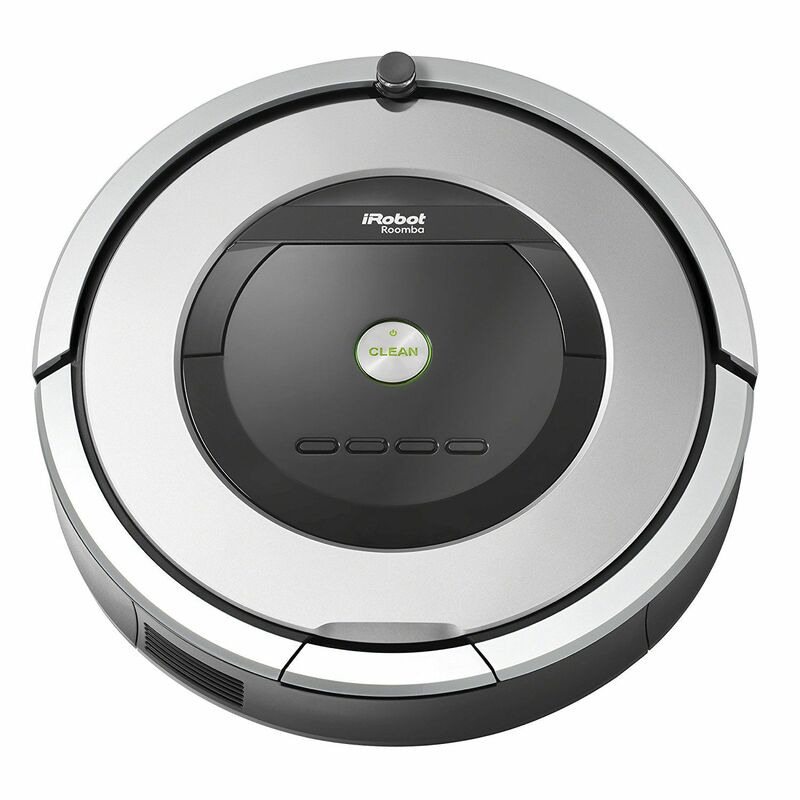 This model has many great features, controlled from your smartphone including options to schedule the robot vacuum. The App also shows a map of the areas in the home that the Neato robot has been working on, which is a pretty cool feature. It also resumes cleaning after recharging. The filter is safe against pets and allergens. There is also newer model Botvac D602 that we review but in the meantime you can take a look. The capabilities of this Xiaomi Robot vacuum is mind blowing it sweeps, and mops has intelligent route planning, plus a super strong suction power (1800pa). Can be controlled by APP or remote, and cleaning routines can be scheduled. It worth comparing the price of this Robot against the Roomba range as the prices are starting to become very competitive. Plus Xiamomi does offer 100% Money Back Guarantee if you are not happy with the robot vacuum after 30 days you can return it. It's the biggest question asked by people looking to purchase a robot vacuum. So with that in mind, and the fact that we are also reviewing two models here, in particular, the roomba 860 review vs 880. We thought we would answer this question here as best we can. So if you are new to robot vacuum in general and feel like a lot of people do, what's all the fuss about, let me try to explain. The popularity of the robot vacuum in the past few years have grown massively, and sales of the Roomba brand alone have reached over 4 million per month on Amazon alone. This should give you some idea of how popular these Robot vacuum are becoming to homeowners throughout the country if not the world. Will a Roomba vacuum replace the traditional vacuum cleaner, the simple answer is no, well not just yet with the current models on the market for sale right now. However, as technology has developed over the last few years the potential for this to happen is possible in the future. So, for now, we are using the robot vacuum as a semi-replacement to add to our current vacuum cleaner we are using in our homes. Why buy one then? Good question and the answer is again a simple one, they do a good job, and can keep on top of everyday dust and grime that does collect on your floors and carpets in the home. Which if you think about it, how often do most people get the vacuum out to clean? Daily, weekly, monthly. We would imagine that out of these three options, the weekly one would be the most obvious one. If this is so, then the dust and grime is collecting on the floors and carpets, in the days between your scheduled cleaning days. From this traditional way of vacuuming? To the modern Roomba robot way? Enter the Roomba 860 vs 880 to do the cleaning on the days you don't, or just because you don't have to do it. They are basically doing the work for you. And maybe it's not always 100% of the best job you could do with let's say an upright vacuum. But think that any percent of clean is better than 0% of cleaning which is what happens on the days you don't do the vacuuming yourself if that makes sense. The appeal of the Roomba robot vacuums is just the convenience of not having to do it yourself, which let's face it if we can get out of doing some of the chores/tasks around the home, then surely we are all guilty of this from time to time, aren't we? So that explains the fundamentals of why people buy this robot vacuum. All you need to know now is what type of Roomba 860 vs 880 or any other Roomba models on the market is best for your needs, and more importantly, do you need one. If you are looking for Roomba Reviews on Hardwood Floors this may be helpful.